The Decisive Moment was the title of a book written by Cartier-Bresson and published in 1952. It was originally entitled Images à la Sauvette. “Cartier-Bresson remarked, in the fifties, when he published his images a` la sauvette (images taken, or stolen, on the run), “to me, photography is the simultaneous recognition, in a fraction of a second, of the significance of an event as well as of a precise organization of forms which give that event its proper expression.” And then: “photography is not like painting. . . .There is a creative fraction of a second when you are taking a picture. Your eye must see a composition or an expression that life itself offers you, and you must know with intuition when to click the camera. That is the moment the photographer is creative. . . . Oop! The Moment! Once you miss it, it is gone forever.” Later, when he had given up photography and returned to painting, where he had begun, he conclude d that the photograph was an “instant drawing.” And he was never very interested in what happened in the darkroom. (Carol Armstrong, ‘Automatism and Agency Intertwined: A Spectrum of Photographic Intentionality’, Critical Inquiry, Vol. 38, No. 4, Agency and Automatism: Photography as Art Since the Sixties, edited by Diarmud Costello, Margaret Iversen, and Joel Snyder, Summer 2012). Embellished with a collage cover by Henri Matisse, his book and its images have since influenced generations of photographers; its English title came to define the universally recognised formal peak in which all elements in the photographic frame accumulate to form the perfect image. Paired with the artists humanist viewpoint, Cartier-Bressons photography has become part of the worlds collective memory. Cartier-Bressons capacity to conjure coherence and harmony out of a chaotic world appears effortless and innate a deep-centred attitude rather than a merely learned technique. “The photograph is a small weapon for changing the world’” Cartier-Bresson was known to have once said. 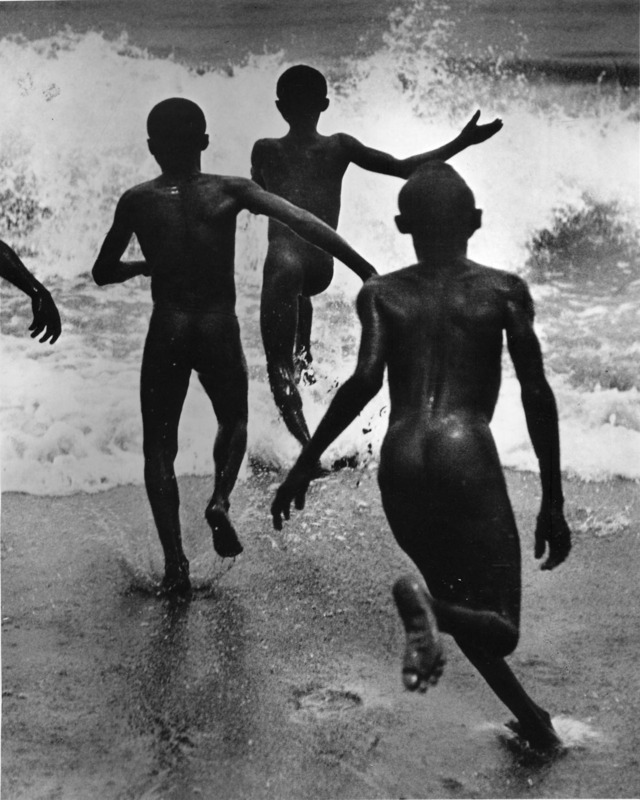 His “humane, spontaneous photographs helped establish photojournalism as an art form. His theory that photography can capture the meaning beneath outward appearance in instants of extraordinary clarity” (Britannica). Notable were his observations of the effects of poverty and revolution around the world which led to his co-founding of Magnum Photos, the first international photographic cooperative. According to Cartier-Bresson, “Magnum is a community of thought, a shared human quality, a curiosity about what is going on in the world, a respect for what is going on and a desire to transcribe it visually.” Magnum’s photojournalists from across the world have covered many historical events of the 20th century and their works focused on universal themes such as family life, drugs, religion, war, poverty, famine, crime, government and celebrities. Thanks. He was a rare artist who found and honoured his vocation. Regards Thom. Capturing the soul, the essence of what makes us say “Wow”.